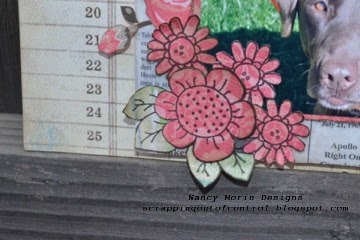 My Creative Time new stamp set called Bloom Where You are Planted. WOW what a set! These stamps can be used for layouts and cards! This is an 8 by 8 layout of my dog Roxi. I am so In love with this layout! My cute fur baby is so photogenic! What do you think? Look at the beautiful flowers! I fussy cut them and paper pieced each one. I have to tell you.. the printed tissue paper behind the photo is from the kids boat meal at the Bubba Gump restaurant..I save everything! 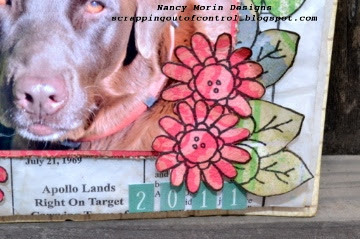 Hee Hee..I don't know what my scrapbooking style is but I am sure having fun! Please don't forget to stop by tomorrow and check out the MCT Projects. Big crafty hugs to you! Such a pretty layout! 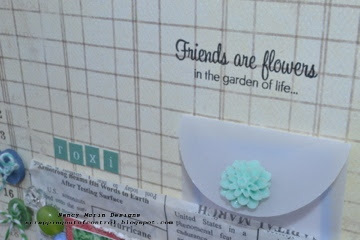 I like the color and you picked great flower to highlight your layout. Your dog is so cute. It reminds me of my brownie he photogenic. TFS AJ! Very pretty layout, great use of the stamps. Nice job on your layout! This is super sweet! Thanks for sharing. Nancy ~ WOW! I LOVE your layout! How CUTE is you puppy! I have to lift this idea! I would NEVER and I mean NEVER thought to put these images around a picture on a layout! CLEVER ~ very CLEVER! What a GREAT look! What a BEAUTIFUL LO!! Love the LO design and all those beautiful flowers! This is just a gorgeous layout!! The flowers look perfect on it and what a cute little doggy! Great job! Another gorgeous layout! I love what you did with the flowers! Cannot have too many flowers!!! I love this project. very nice layout! Roxi is sooo cute!! haha! I love that you used paper from Bubba's and yes, Roxi does smile nice for the camera :D Great job! Great layout of your cute dog. I like the paper piecing. Love your page, it looks great. Another FABULOUS layout!!! Love the beautiful colors and pretty flowers! i love how you saved that paper from the restaurant. i too save everything, and it comes in handy! love this project and not only because of the dog! Very pretty layout. Nice pic of Roxi. So beautiful!! 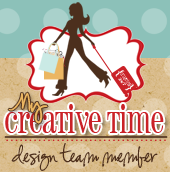 Both the layout and your poochie!! Adorable lo! Your furbaby is beautiful!! I love the flowers around her pic This set is looking so awesome!! The sentiment is absolutely perfect! What a great layout, I love the cute dog. Thanks for sharing it. Love your personal style. Great use of the new MCT release. Great layout. Roxi is beautiful. What a lucky fur baby to have such a pretty layout made for her. Thanks. I cannot tell you how much i LOVE this layout! i've never seen anything like this, ♥ it! Fun LO! I like all of the different creative elements you used on it to add interest. TFS!